Updated: 5:45 p.m. | Posted: 9:03 a.m. 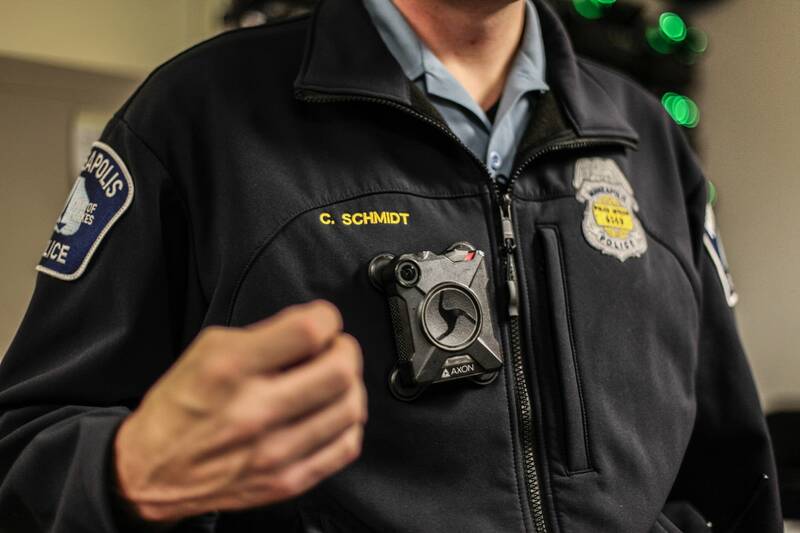 Effective immediately Minneapolis police officers will have to keep their body cameras powered on throughout their entire shifts, and officers will have to start recording videos at least two city blocks before they arrive at their call destinations. These and other provisions are part of an updated body camera policy announced Wednesday by Minneapolis city officials. 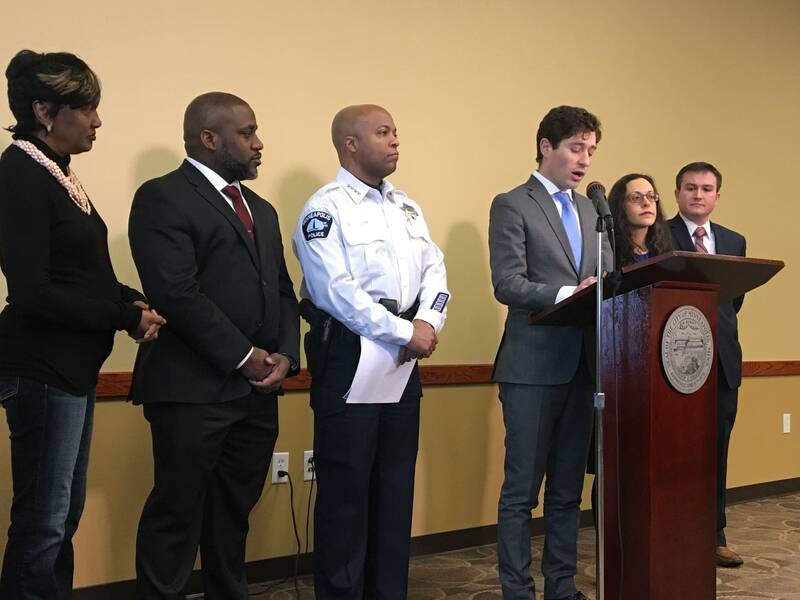 Mayor Jacob Frey said the new policy makes it clear when officers are required to use their cameras and lists the possible consequences for officers who don't follow the guidelines. "For the first time, we're giving the body camera policy teeth — by providing the first, clear disciplinary structure for instances when this policy is violated," said Frey. "This is a stronger, clearer and more precise policy." Under the updated policy, officers who turn off or don't activate their body cameras during use of force incidents may face 40-hour suspension or termination. Imani Jaafar, director of the city's Office of Police Conduct Review, said officers who fail to properly use their cameras have typically been coached by supervisors instead of being disciplined. That was due in part because officers previously had more discretion on when to turn cameras on and off. "This [new policy] both narrows the discretion and makes the disciplinary consequence clear," said Jaafar. "Now when a case comes forward without body camera activation it would go straight into the highest level of investigation ... because of the level of severity." Police Chief Medaria Arradondo said so far he hasn't seen a body camera violation investigation come across his desk. • 2017 report: Should the police control their own body camera footage? The chief touted the policy changes as making significant headway toward his goal of increasing transparency and public trust in the department. Arradondo said community members have demanded that officers start wearing cameras and he says this policy will make sure the cameras are useful. "(The camera) tells a story," said Arradondo. "It's not the complete story, but it tells an important story. Our communities expect that. So it's a helpful tool. We have to ensure (officers) are using it properly." 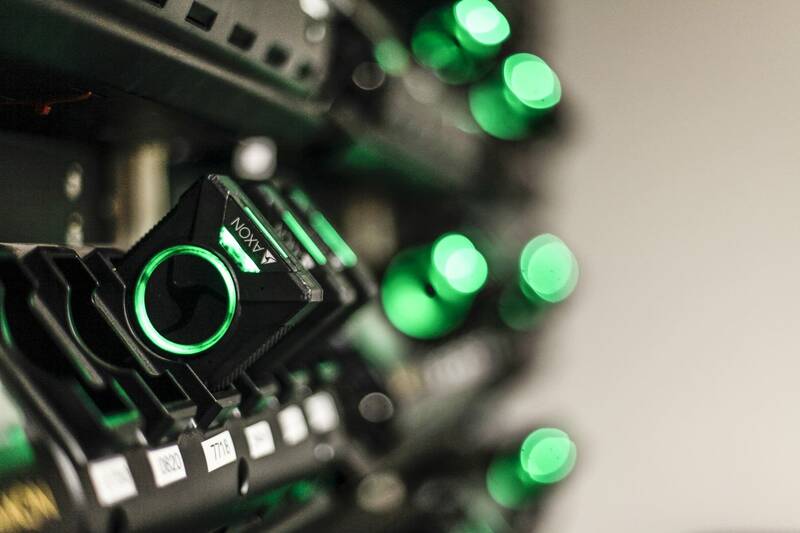 Arradondo said in the coming months the department will unveil an online resource to allow the public to check on how often police are using body cameras. However, some say the policy changes don't go far enough. Michelle Gross of Communities United Against Police Brutality says she's deeply disappointed. "There's nothing in this new policy that states that from this point forward, these will be the new disciplines," said Gross. She fears that an officer fired under the new policy will take their dispute to an arbitrator who will reverse the termination. "The arbitrator will be able to come back and say, well you never disciplined this before and you can't terminate them now," she said. Officers welcome the new policy, said Minneapolis police union president Bob Kroll, who said it's much more clear than the earlier policies. The updated policy is the second major revamp since then police officer Mohamed Noor shot and killed Justine Ruszczyk last summer. At the time Noor was wearing a camera but didn't activate it in time to capture the incident. Now a former officer, Noor is facing murder and manslaughter charges.